States in the Western US are some of the least populated parts of the country. Many of the people here hold fast to the traditional ways of ranching, and cowboys are still plentiful. 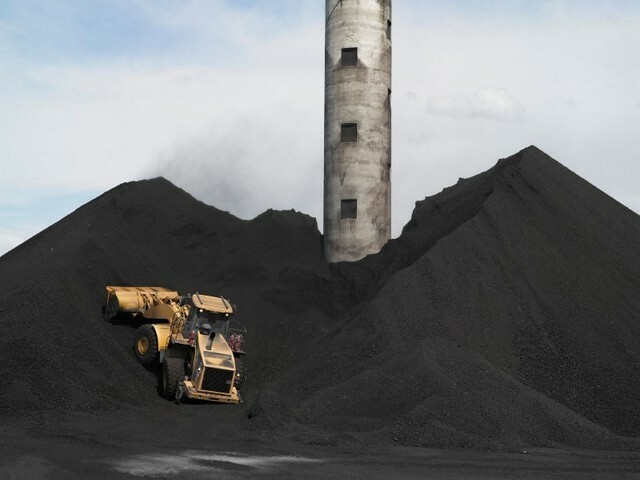 Yet the area is being transformed by a mining boom and Lucas Foglia has compiled photographs over seven years to document this change. 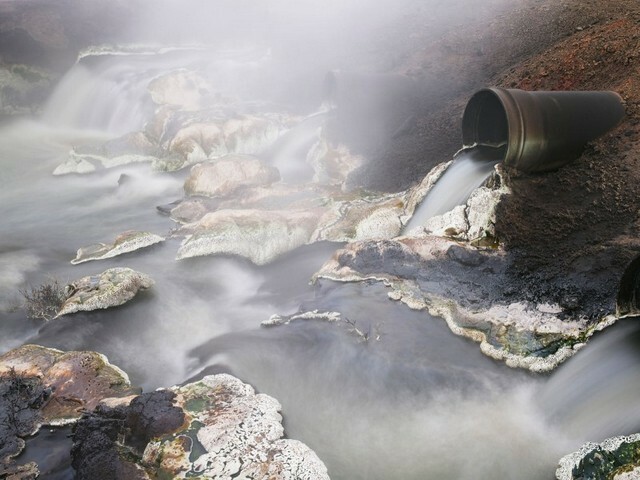 Some shots feature the environmental impact on the land, a la Burtynsky, but where Foglia differentiates himself is in his focus on the people and whether it impacts their daily lives. At a rodeo cowboys go through stretches akin to what we see at the Olympics while a surreal image presents a farmer staring down his rifle at an uncomprehending cow. 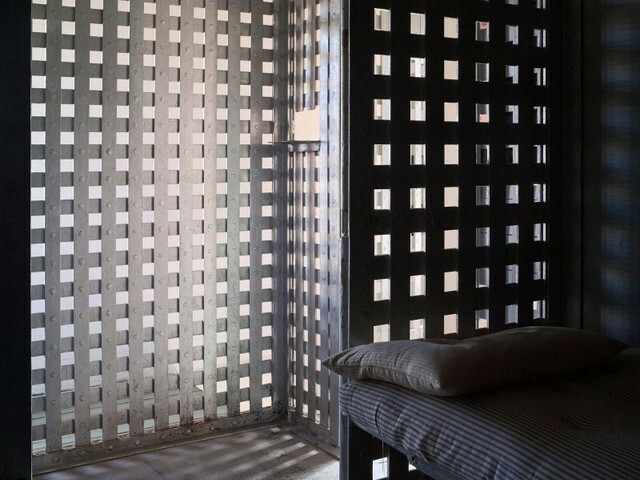 Foglia captures a seemingly contradictory beauty in a jail cell as dappled light filters through the wall like the sun often filters through tree leaves in a park. The reason why a semi-naked man is striding through the snow is left unexplained, and for the viewer to imagine the circumstances that led to this image. Our favourite photograph features young men in varying football shirts jostling for position as if awaiting a corner, but the ball remains out of shot. No goalkeeper is in sight, and nothing but snow-capped mountains can be seen in the background. Not only an excellent composition in itself, this photo is also a great metaphor for the American West, where small pockets of population exist within largely uninhabited areas. 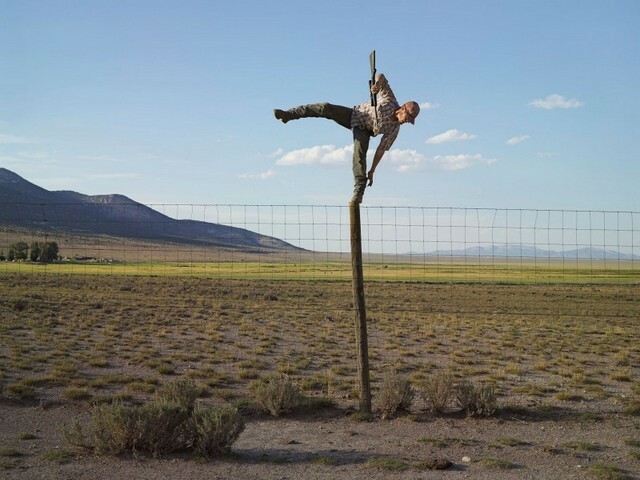 It's Lucas Foglia's preference for simply composed and often ambiguous photographs, whether they be intimate portraits or expansive landscapes, that makes this a diverse and insightful window on to the people living in the American West. 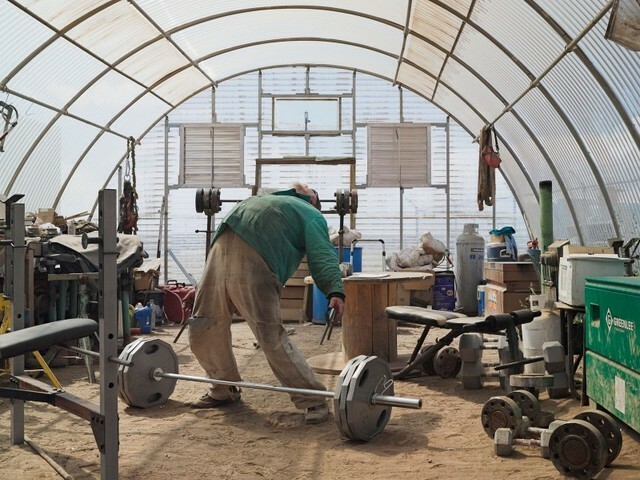 Lucas Foglia: Frontcountry is on at Michael Hoppen Contemporary, 3 Jubilee Place, SW3 3TD until 10 May. Entrance is free.